Wigs, Scarves, or Bald is Beautiful - Which Fits My Style? Hair loss (alopecia) due to chemotherapy can be a stressful, heart-wrenching experience. Many people do not realize how much their image is tied to their hair until they face the loss of hair that can occur with chemotherapy. Thankfully, if you wish to cover your head before your own (often more delightful) head of hair grows back, there are many options available today. The best time to shop for head covers is before you start to lose your hair. Check with your cancer center to see what resources are available in your area. Many online companies offer wigs and caps as well. The American Cancer Society offers a non-profit service for women called Tender Loving Care, that offers a catalog featuring a variety of products. Real hair - Wigs made from real hair can look very natural, but are pricier and more difficult to care for. Real hair can be managed much as your own hair and allows for changes in style such as curling and even coloring. Synthetic hair – Synthetic hair is less expensive and is preferred by many, especially those who wish to have a few wigs on hand. It is often recommended that you choose a wig in a similar or slightly lighter color than you are accustomed to, but this is also a time when you can express yourself in a unique way. Keep in mind that many insurance companies cover a portion or all of this expense with a written prescription. Have your oncologist write out a prescription for a “hair prosthesis” rather than a wig. 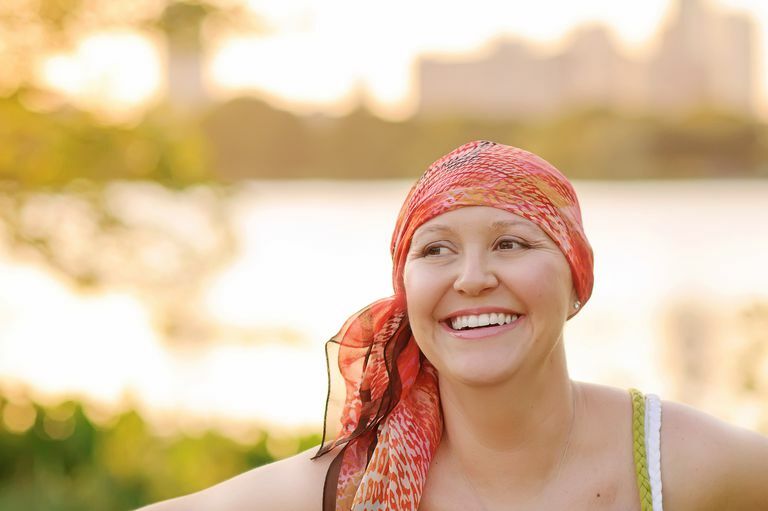 Caps, scarves, and turbans are becoming more popular as a head covering during chemotherapy. A wide variety of products are available, and they are considerably less expensive than most wigs. These can be more comfortable, especially in the summer and warmer climates, and allow for more diversity day to day. Some people prefer to go natural and skip head covers altogether. This can be a very comfortable option, especially in warm weather. If you go this route, make sure to protect your head from the sun and cold weather. Cancer survivors have found several creative ways to cope with chemotherapy-induced hair that go beyond using head covers. One tip that's frequently been shared with us is to look at the "silver linings" or "good" things that can be found while living with cancer. For women that may mean that, even though you may want a wig or scarf to cover your head, you could be spared from needing to shave your legs for many months. Others have joked about how losing their hair has saved them money with regard to purchasing shampoo or heading to the stylist. Most importantly, it's an important reminder that everyone with cancer responds to the various side effects in different ways. For one person, the fear of having nausea is the worst adverse effect, while for others, losing their hair is considered the greatest downfall. It may be of some comfort to you to hear that while cancer leaves us with many side effects, researchers are learning that people who cope with cancer experience positive changes as well. In other words, living with cancer can change people for the better!